Weddings in Cabo mean lots of sunny beaches and breathtaking panoramas. 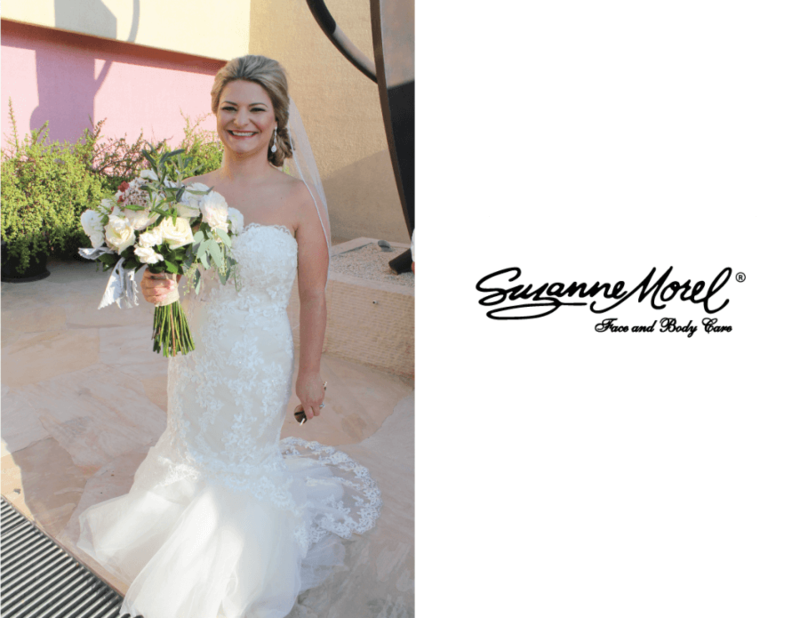 At Suzanne Morel Face and Body Care, we think destination brides deserve a wedding-day look as stunning as the gorgeous Cabo views! We styled beautiful bride Rebecca for both her rehearsal dinner and wedding day. For the wedding day, she wanted a classic bridal hairstyle, so our professional team gave her an elegant chignon that helped emphasize her earrings and veil. Our experienced make-up artists styled our bride with a romantic wedding-day look. Her eye make-up was subtle and photographed beautifully in the Cabo sunshine! A touch of blush and a light pink lip completed this soft, natural bridal make-up. This entry was posted in Blog, Cabo Bridal Hair and Makeup and tagged bridal saloon, Cabo wedding hair and makeup, destination wedding, hair and makeup, Los Cabos hair and makeup, recommend Suzanne Morel, Suzanne Morel, villa weddings, weddings los cabos.